Over the years, we have been involved in many small businesses made up of family members. 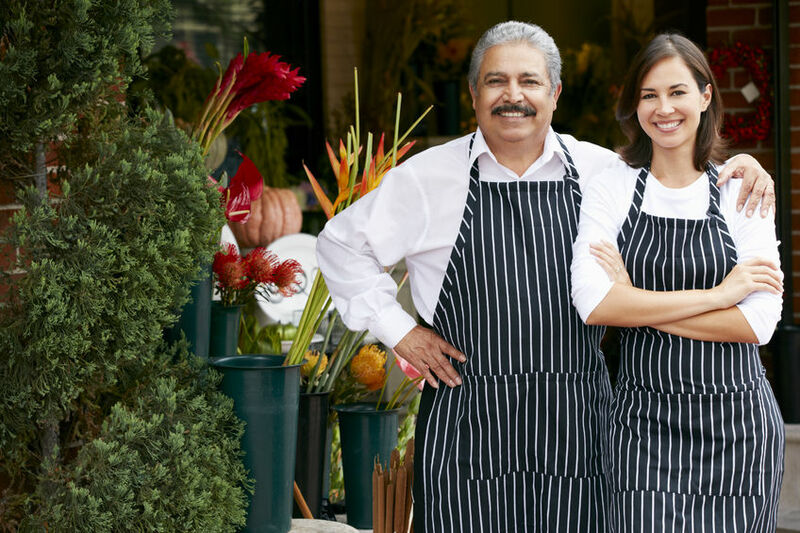 One of the key components to make a family business run smoothly is to recognize that relationships exist and should not be intertwined with the day-to-day business operations. There are companies where you have employees with relationships that exist between parent and child, siblings, in-laws or spouses. Whatever family relationships or challenges you have outside the company, you need to make sure they don’t come into the day-to-day interactions or discussions with the business. The old adage of “leaving it at the door” is a behavior that should be adhered to… no matter what. If there is no separation between work and family issues, the business will suffer and ultimately, the family dynamic will absorb the tensions associated with the business. As you can imagine, it is very difficult to see family at birthday parties and Thanksgiving and be able to have serenity when the challenges of work become the table chatter while carving the turkey. Starting out, it is not unusual that the first hires are family and friends. As the owner, you hire people you know, like and trust. Over the years, the business grows, different challenges occur and what happens is that “Brother Bob” is no longer the right fit for a role, which has outgrown him. Being able to have the difficult conversation (that Bob needs to step up or leave) in a way that won’t blow up during a holiday get-together is something MVP coaches small businesses in how to handle. What’s Right for the Organization? It comes down to not only avoiding risking the family dynamics, but also doing what is right for the organization. It is a terribly difficult conflict to choose whether to maintain family relationships versus executing a tough decision for the future of the business. We tell clients to recognize that it is emotionally hard for the family and the business owner to fire an employee who is a relative or close friend. It is not a sign of weakness that you care about the individual you have to let go and even the strongest leaders have a feeling of dread. How Influential is the Spouse? In many instances, the spouse is also influential in the business even if they are not actively involved on a daily basis. When you are thinking about letting go of a family member related to your spouse, you can’t let the family relationships harm what the business is trying to do. MVP works with company owners to take as much of the emotion as possible out of the discussions. We have many different stories to share with our clients on the experiences we have negotiated with family issues within other companies. How do I tell my mom to stop coming to work? How do I tell my brother I can’t work with him any more? What’s my sister going to do to support herself if she isn’t working here any more? How do I treat all my kids equallly and not play favorites? How do I choose one child to be in charge? There are ways to address these and every other question you might be asking yourself. MVP is really good at dealing with family situations that come between parent and child, siblings and spouses and even close friends who over time have become almost like family. MVP helps to navigate what is best for the business without blowing up the relationships.